I was looking through my TBR list on Goodreads the other day and I realised how many series I've added to it that I've never actually started or I've read the first book but then never carried on with the series. It surprised me to be honest because these are series that so many people swear by and love. I'm going to share a few with you (I say a few because there is way more than you could possibly imagine). 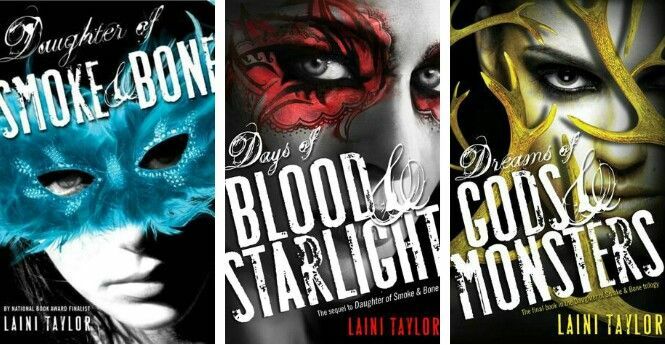 I feel like literally everyone has read this series apart from me...It's a 4 book series, and that's if you don't include all the novellas. 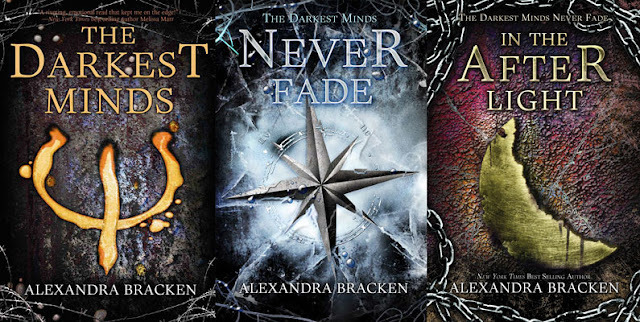 I've wanted to read these books for so long but I think I got put off by people saying that the first book isn't the best, even though the rest of the series apparently improves. Once again another series that everyone raves about. I can't tell you how long I've had The Raven Boys on my TBR. I don't even have an excuse as to why I've not read these yet, I'm disappointed in myself. When the unbecoming of mara dyer first came out I was desperate to read it. I added it to my tbr but for some reason it's just sat there...I've also heard some mixed reviews about these books so that might be a reason I've been putting off reading them. I have no excuse. These came out so long ago and I've heard only good things about them. Once again I'm disappointed in myself. I feel like I'm confessing a sin right now. So before you judge me you need to know I did read City of Bones, but it was years ago. The truth is I find this series so intimidating. I mean there's just so many books to read. People do love this series though so I do need to see what all the fuss is about at some point. Once again I read the first book in this trilogy when it first came out but then never carried on with the series. I'm kicking myself for it because I remember really loving the darkest minds. I really need to finish this trilogy but I'll have to re-read book one first. I feel like at this point trying to justify me not reading this would just be a waste of time. So I'm going to stop there. That is by no means all of the series I've not read, just some of the more popular ones. I actually have a ton more so I might make a part 2 at some point. I'm really glad I decided to do this post, even though it kind of embarrassed me it's made me want to pick up all of these books again! Have you read these books? Which one's do you recommend I read first? Let me know in the comments! aahh, I'd love to write a post like this as well.. definitely someday. I feel like a real black sheep when i say this but, The Lunar Chronicles was really great until the final book somehow ruined it for me. I still like it. It was good but I just didn't love it as much as other bloggers. I had some issues about its pacing and all. I've been hoping to read The Raven Cycle and Snow Like Ashes series as well. 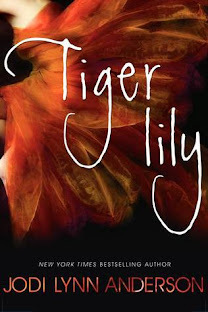 I read the first book of the Mara Dyer trilogy and liked it but never had the chance to actually grab the next book. I also read Shadow and Bone and it felt like it wasn't exactly for me. BUT I do plan a reread to see if it'll work on the second time since I was fairly new to fantasy then. Yeah that's what I'm like as well, I only recently really started getting into fantasy so before now I was a bit scared of reading those series. Hopefully I can get to them very soon though! Thanks for stopping by! Oh really! I seriously need to read it then! Yes I've heard the raven series can be hard to get into but really good once you do? Thanks for stopping by! I loved The Lunar Chronicles - that series was just so much fun, so I would definitely recommend it! 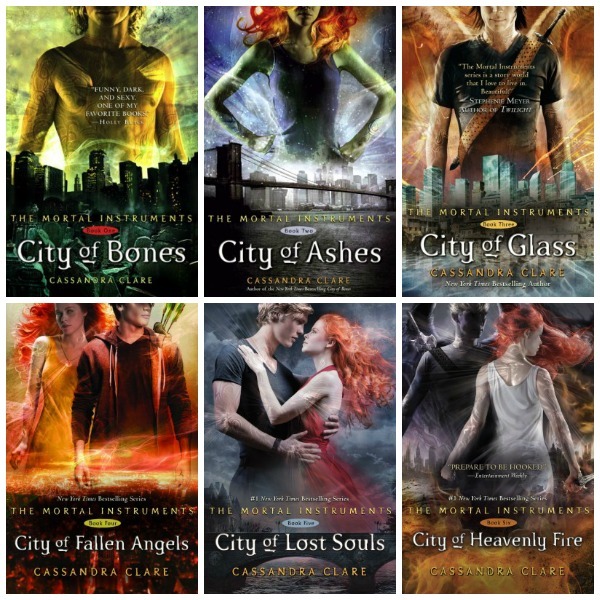 The only other series here that I started was The Mortal Instruments, but I gave up after the first book. It was years ago, but I think I stopped reading because it was just overwhelming, too much information. I'm in the same boat with most of these series! I have the first books sitting on my shelf waiting to be read but I just keep putting them off. I think it's a bit to do with the hype for me, everyone else seems to love them so I'm worried I won't. Hopefully I'll get to a few of them this year. 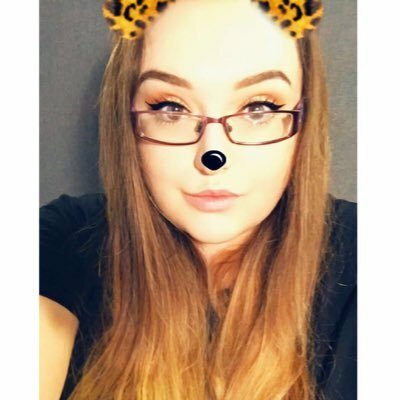 Yeah, I completely get where you're coming from with hype being an issue. It really affects my opinion sometimes. 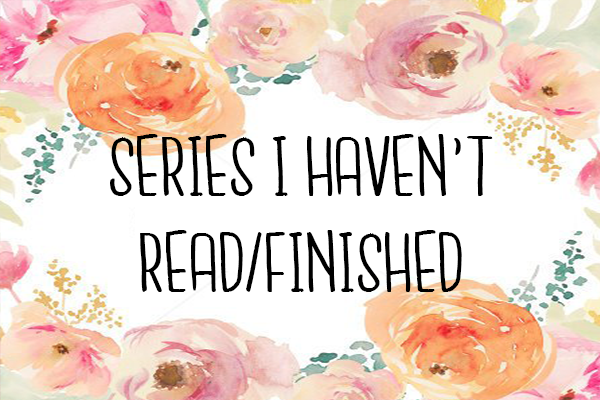 I have so many unfinished series too! I don't know why I don't finish them as soon as possible. A lot of them are series I LOVED...but it's been years and I still haven't finished them. I read the first 2 Lunar Chronicles books but not the rest. I LOVED The Raven Boys, but never read the others. I still haven't read the last Daughter of Smoke and Bone book. Why!? I need to work on this. 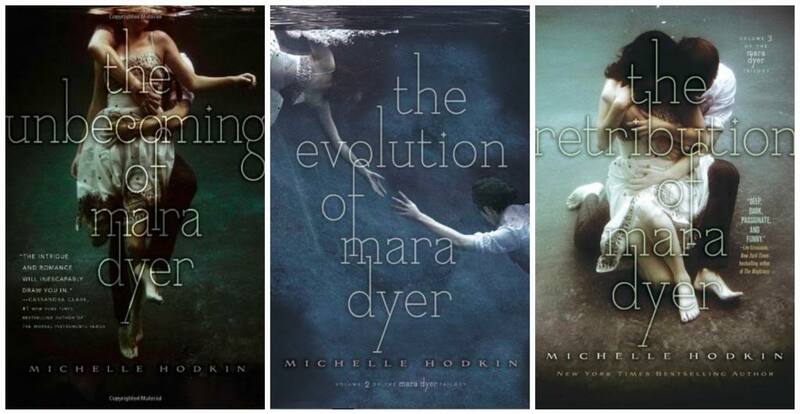 But anyway, I love the Mara Dyer books and The Grisha trilogy is amazing! I know, it's so frustrating isn't it! I think my main problem is that I forget what I've already read while I'm waiting for more books in the series to come out. I feel like I should start waiting till a whole series is out and then read it but I don't have the will power for that! Thanks for stopping by! I can say that Cinder was a very slow book, but Scarlet was so much better! I so want to read The Raven Boys, Grisha trilogy and Mara Dyer!!! I read the Shadowhunters series but have yet to read the last book. I actually liked the books but for some reason I never got to COHF and I'm pretty sure I never will since I don't remember much of the books and I don't plan on ever re-reading them.